R Fulton Improvements has been installing air conditioning systems for more than 20 years. All of our contractors are licensed for air conditioning installation and repair. We offer complete air conditioning services, including installation of portable or central systems, condensers, condensate pumps, roof top units, humidifiers, zoned A/C, ducts, coils, and air conditioning tune ups. Call (678) 251-9181 today. Window units are the least expensive air conditioning option. R Fulton Improvements offers a variety of window units and portable units for single room cooling. All of our window units feature quiet operation and convenient controls such as: timers, digital displays, remote controls, and directional vents. Portable units work best if you live in a building that doesn't allow window units or if your room's configuration is not conducive to installing a window air conditioner. Call (678) 251-9181 for help choosing a system for your home. R Fulton Improvements has been proving air conditioning installation and repair for more than 20 years. R Fulton Improvements mini-split and multi-split ductless systems offer homeowners flexibility at a more affordable price than installing central air conditioning. Our split systems require an outside condenser and one or more indoor units that are mounted high on a wall. 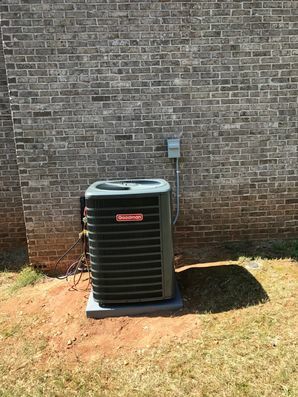 The condenser is connected to each indoor unit by running small cables and a refrigerant line through a hole in the wall. The mini-split ductless system controls one room or zone by connecting the condenser to a single indoor unit. A multi-split ductless system connects the condenser to up to five indoor units, allowing a homeowner to control several zones or rooms individually. Call (678) 251-9181 to learn more by speaking with a R Fulton Improvements air conditioning specialist. For maximum cooling comfort everywhere in your home, R Fulton Improvements offers several central air conditioning systems. We've been installing energy efficient central A/C systems for more than 20 years.